The Esbit Titanium Pot is a super-practical, lightweight piece of titanium cookware. 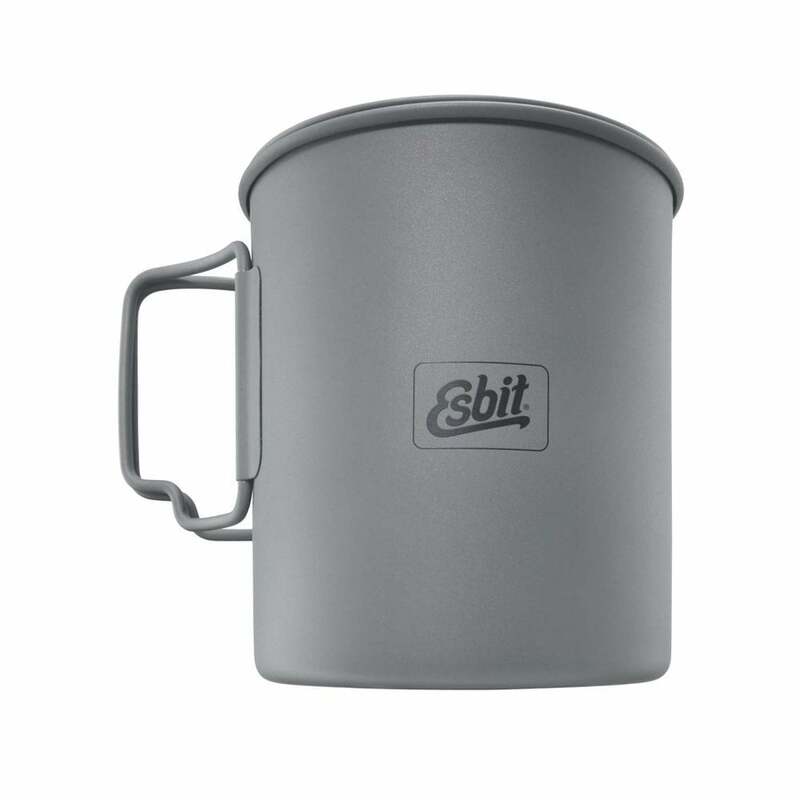 The Esbit 750ml pot weighs just 106 grams and comes complete with two hinged handle grips and a secure-close lid. Ideal for using with the super light Titanium folding stove as it sits securely within the three serrated legs. Ideal for multi-day events like the MdS, Yukon Arctic Ultra etc. Supplied with a mesh storage bag. Combine this with the Esbit Titanium Folding Stove gives you the lightest solid fuel cooking solution for situations where every gram is vital. High-quality multilayer meshbag with 2 bags for foldable Esbit titanium cutlery (not included in the scope of delivery). Perfect for boiling water to rehydrate food and for a hot drink on your multi-stage or hiking adventures! A popular choice for MdS.